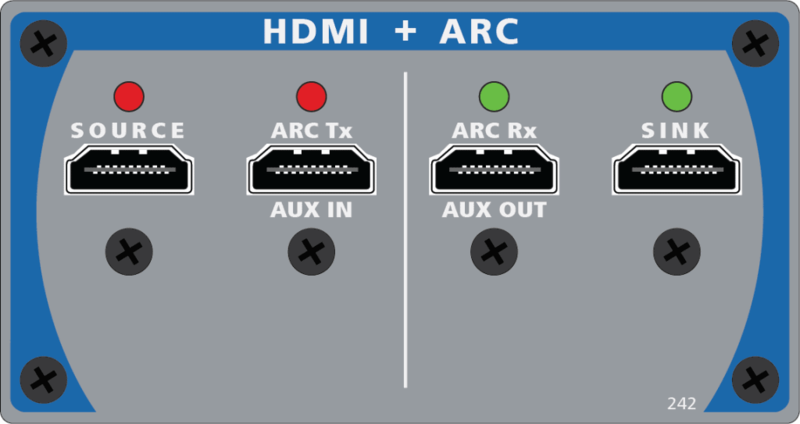 Support for the Audio Return Channel (ARC), a part of the HDMI 1.4 spec, adds the ability to test both ARC audio quality and connectivity on receivers and TVs that support it. All standard audio measurements are available including level, SNR, distortion, phase, crosstalk, group delay, and others. The APx500 software is capable of taking 14 measurements in only 7 seconds, automatically generating a report of results, and saving all test settings in a single, sharable project file. Real-time signal monitors include residual THD+N in oscilloscope view and a 1.2M point FFT. In addition to generating linear / PCM audio streams, APx can stream lossless formats (such as Dolby TrueHD™ and dts-HD Master Audio™) and compressed formats (such as Dolby Digital™ and dts Digital Surround™) from pre-encoded audio test files. This feature makes it easy to troubleshoot component compatibility and downsampling / downmixing / transcoding issues. Streaming of .wav, .ac3, .dts, and .cpt over the SPDIF, TOSLINK, and AES/EBU digital outputs is also supported. An additional set of HDMI connectors (also utilized for AUX In and Monitor Out) are provided for Audio Return Channel transmit and receive. In addition to full audio and metadata analysis capabilities, APx500 can send and receive CEC commands, allowing observation and troubleshooting of ARC connection negotiations. The regular HDMI connectors may also be used simultaneously, making it possible to send a test signal to a device over HDMI and to receive it back over ARC for analysis. The APx555, or the APx525, with DSIO, HDMI, and Bluetooth options are the perfect analyzer for testing every input and output on a smartphone or tablet. Each provides two analog channels, which is all that’s needed for these devices, plus they support up to eight channels across HDMI. Because Blu-ray and other disc players cannot accept an incoming audio stream, test signals must be played from disc. Every APx with the HDMI option includes a Blu-ray Disc with high-resolution versions of a wide selection of audio test signals. An EDID is a ROM inside a piece of HDMI sink equipment such as a TV that informs the HDMI source of what audio and video formats the sink supports. For audio, that includes the number of channels, types of codecs, and sample rates. EDID must be set up correctly or the source may send formats that the sink can’t handle. If the sink doesn’t report its capabilities properly, the unit is likely to have interoperability problems. APx provides the ability to view and save the E-EDID of a device connected to the instrument’s source connector. In addition users can arbitrarily edit the E-EDID that the instrument’s HDMI sink presents to a source device under test. APx with HDMI supports multiple EDID configurations. These .edid files are pre-configured for various audio formats, including encoded audio such as DTS. The APx HDMI option has a basic video generator. The user can generate a single color video test signal and control the resolution (up to 1080p), the color of the image, and the color depth (including deep color). Use of third party video pattern generators is supported by the “Pass External Video Through” option. When an external video signal is provided, APx combines it with the audio stream from the APx’s generator and outputs a single audio/video stream. The system also forwards E-EDID and CEC data transparently between the device under test and any device connected to AUX IN. The APx itself does not analyze video; however, all signals delivered to the sink are mirrored to the AUX OUT monitor connector. This allows the user to send the video signal to an external video analyzer or monitor the signal on a display.